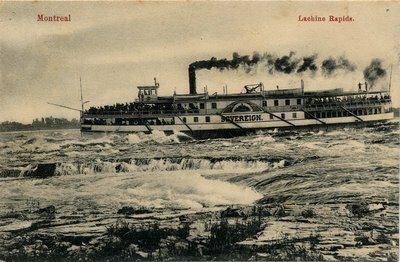 During the summers days, however, for over a century there was nowhere else in the world where excursionists could take a full sized passenger steamboat trip through a major set of rapids. 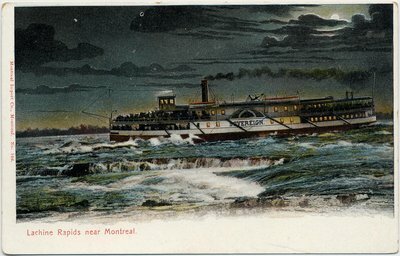 Here's an excursion that was probably only in the imagination of those commissioning this postcard. Who wanted to run the rapids in the dark?